d. Any one of the modern translations of the Bible--preferably the New Revised Standard Version, New Jewish Publication Society Version, or New International Version. Do not use the King James Version. Although it is a beautiful literary translation, it is hard to understand for most modern students and is outdated. I will use the NRSV in class. An on-line version of the NRSV translation is available at: http://www.devotions.net/bible/00bible.htm. On-line concordances featuring several other biblical translations can be found at: http://bible.gospelcom.net and www.biblestudytools.com. I encourage students to click on the various web links that I have established throughout this syllabus to obtain additional information. The Old Testament: Text and Context will be used as a supplement to lectures. Students will benefit by using this volume to increase their understanding of both the biblical material and the lectures. 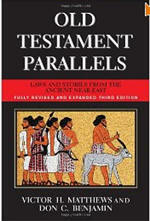 Old Testament Parallels contains translations of ancient Near Eastern texts that will be used in class discussion comparing them with biblical stories and laws. 2. Course Description: This course is a part of the General Education curriculum in the area of Culture and Society/Humanities. 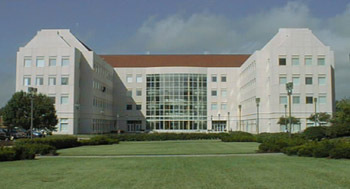 The goals of the General Education program are found at: http://www.missouristate.edu/GeneralEducation/Goals_GenEd.htm. This General Education course contributes to the development of your intellectual abilities and dispositions, including striving to be well informed and open-minded, looking for multiple possibilities, being able to deal with ambiguity, and intellectual self-awareness. - This course encourages striving to be well informed by requiring knowledge of primary sources (the Hebrew Bible/Old Testament and related documents) and modern methods of interpretation. It encourages open-mindedness through exposure to a variety of attitudes toward this literature both in its historical setting and the present. - This course encourages looking for multiple possibilities and being able to deal with ambiguity through exposure to a variety of ways that ambiguous and conflicting texts and other data are interpreted by historians and other readers. This procedure promotes sensitivity to multicultural concerns. - This course encourages intellectual self-awareness, i.e., being conscious of one’s own thinking process, by an emphasis on critical thinking. 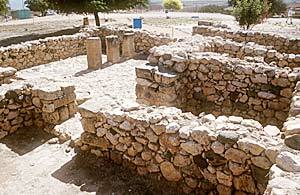 Given the influence and importance of both the Hebrew Bible/Old Testament on Judeo-Christian Culture and, thus, American society, REL 101 provides an outstanding setting in which students can reflect on the cultural and social contexts of their thinking and the range of biases these diverse contexts create. 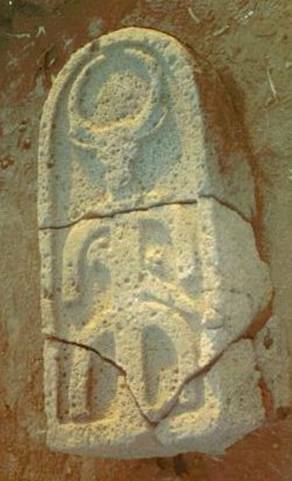 As a way of further illuminating these materials, attention will also be given to the history and religion of Israel as well as the other peoples of the ancient Near East. Its application to the Public Affairs Mission of the University can be found in its efforts to educate students about the past so that they can build upon this heritage in making informed decisions about their own culture and the future direction of society. Student input is welcomed as a partial guide to material covered. 3. Classroom routine: Since this is a course introducing the biblical materials, the presentation in class will be for beginners. The biblical text will be carefully followed to determine and explain what the authors are saying. This will involve a lecture/ discussion format and audio-visual materials. I will be constantly asking questions of students to emphasize points and determine mastery of the material. I welcome student questions and expect that the number of these questions will increase as the semester progresses. 4. Religious Studies Courses in a State University: The U.S. Supreme Court (Abington v. Schempp) in 1963 encouraged the objective study of religion and the Bible. This is why we teach an introductory course to the Old Testament/Hebrew Bible at Missouri State. However, the approach here is different from that taken in a religious group. We will concentrate on reconstructing what the text originally meant to its ancient audience in the light of its ancient Near Eastern setting rather than on what the text means for us today. You do not have to have a faith commitment in this course, nor will you be asked to abandon your faith. My purpose is to increase your knowledge and understanding of the Old Testament/ Hebrew Bible, and to help you think carefully and in new ways about what it originally meant. You will earn a good grade in this class the same way you do in other courses, not by being more religious. a. Provide students with a basic understanding of the OT/HB and of the social worlds of ancient Israel that will serve as the foundation for future study. b. Provide the student with a basic knowledge of the history of the biblical periods, noting the relationship between Israel and the other nations of the ancient Near East. c. Provide students with a basic knowledge of the physical environment and geographical features of the ancient Near East. d. Give students an understanding of the principal beliefs found in the OT/HB about God and humankind. e. Present to students for their use the tools and approaches that scholars use to study the OT/HB. f. Prepare students to deal openly and intelligently with the text of the OT/HB, neither minimizing nor over-emphasizing the very real historical and intellectual difficulties that they will encounter. g. Demonstrate to students that the study of religions in a state university setting is a natural part of a humanities curriculum and of the university's Public Affairs mission. h. Help students to take seriously, state accurately, and evaluate thoughtfully positions other than their own. 6. Attendance: Statistical analysis has shown that regular attendance is the key to good grades. It is expected that all students will be present except for emergencies. 7. Class Participation: A significant portion of your grade (100 points) is dependent upon class participation. I will assign this grade at the end of the course. It will be based on attendance, ability to answer questions during regular and scheduled class discussions, in-class assignments, willingness to ask questions and seek help (both in and out of class), responses to posted Study Question on the Blackboard forum (= 40 points of 100 point total), and general improvement in class discussion over the course of the semester. Students should feel free to send me e-mails VictorMatthews@missouristate.edu or come to my office during the semester to raise questions, make comments, or express concerns about the course. 8. Inclusive Language: In line with current style guides, I will be using inclusive language. This means that I will use language that includes women whenever possible. Instead of "man" I will use "human beings." Instead of "he" I will use "he or she," etc. I urge you to follow my lead both orally and in written form. 9. Exams: There will be three exams and a final. They will consist of essays, short identifications, and map questions. These exams will be given approximately at the 4th, 8th, & 12th week of the course. The final will cover both newly discussed material and a comprehensive essay. Before each exam I will provide students with a study guide. Please bring a blue book and a pen on each exam day. 10. Make-Up Exams: Make-up exams (though usually more difficult than regular tests) will be permitted only for those students with LEGITIMATE explained absences. Students should strive to notify me in advance if they know they will have to be gone on a scheduled exam day. You are to read two articles dealing with either archaeology or aspects of the history or culture of the world of the Old Testament/Hebrew Bible from journals that may be obtained in the Meyer Library or on-line. (6) the ways in which the article has aided your fuller understanding of the OT/HB (be specific). The first of these analyses (worth 25 points each) is due September 21, 2012. The second is due on November 16, 2012. A two point per class day penalty will be imposed on each paper submitted after the date it is due. on periodically in class to provide information that will further enhance the classes’ understanding of this material. 12. Cheating: Missouri State University is a community of scholars committed to developing educated persons who accept the responsibility to practice personal and academic integrity. You are responsible for knowing and following the university’s Student Academic Integrity Policies and Procedures, available at www.missouristate.edu/policy/academicintegritystudents.htm. You are also responsible for understanding and following any additional academic integrity policies specific to this class (as outlined by the instructor). Any student participating in any form of academic dishonesty will be subject to sanctions as described in this policy. If you are accused of violating this policy and are in the appeals process, you should continue participating in the class. I would also direct you to the university statement of community principles. this course as a part of the General Education curriculum. Students will also be given the opportunity to assess the course as a whole using both a standardized, college-wide questionnaire and an Honors College assessment instrument. In addition, each student will be asked to write a reflective essay demonstrating how you have grown in these abilities and dispositions by taking this class and you will be asked to answer questions on a course assessment survey at the end of the course. Note that the university does not allow the reporting of D- or of A+ grades. Borderline grades will be determined by such factors as attendance, the final exam, completion of work on time, evidence of hard work and a willingness to seek help, and general contribution to class discussions. 15. Disability Accommodation: To request academic accommodations for a disability, contact the Director of the Disability Resource Center, Plaster Student Union, Suite 405, (417) 836-4192 or (417) 836-6792 (TTY), www.missouristate.edu/disability. Students are required to provide documentation of disability to the Disability Resource Center prior to receiving accommodations. The Disability Resource Center refers some types of accommodation requests to the Learning Diagnostic Clinic, which also provides diagnostic testing for learning and psychological disabilities. For information about testing, contact the Director of the Learning Diagnostic Clinic, (417) 836-4787, http://psychology.missouristate.edu/ldc. 16. Discrimination Policy: Missouri State University is an equal opportunity/affirmative action institution, and maintains a grievance procedure available to any person who believes he or she has been discriminated against. At all times, it is your right to address inquiries or concerns about possible discrimination to the Office for Institutional Equity and Compliance, Park Central Office Building, 117 Park Central Square, Suite 111, (417) 836-4252. Other types of concerns (i.e., concerns of an academic nature) should be discussed directly with your instructor and can also be brought to the attention of your instructor’s Department Head. The Missouri State statement of non-discrimination can be found at http://www.missouristate.edu/eoaa.htm. 18. Cell Phone Use: As a member of the learning community, each student has a responsibility to other students who are members of the community. When cell phones or pagers ring and students respond in class or leave class to respond, it disrupts the class. Therefore, the Office of the Provost prohibits the use by students of cell phones, pagers, PDAs, or similar communication devices during scheduled classes. All such devices must be turned off or put in a silent (vibrate) mode and ordinarily should not be taken out during class. Given the fact that these same communication devices are an integral part of the University’s emergency notification system, an exception to this policy would occur when numerous devices activate simultaneously. When this occurs, students may consult their devices to determine if a university emergency exists. If that is not the case, the devices should be immediately returned to silent mode and put away. Other exceptions to this policy may be granted at the discretion of the instructor. Textbooks will be referred to below in abbreviated form (OTC and OTP). Reading should be completed as assigned before class. You are responsible for all reading assignments and you will be questioned about the material they contain in class discussion or asked to do free writing assignments about them. I will provide you with study questions after each class period that will form part of our discussion during the next class. Plan to spend at least four to six hours per week in preparation for this class. All reading assignments, Power Point presentations, and Study Questions will be posted for each segment of the course on the Blackboard site. You click on CONTENT for the assignments and other study aids. You click on FORUM to post your responses to Study Questions. Introduction to the class. Syllabus, assignments, and grading. Discussion of tools for biblical study. OTC, 1-5.
write answers to questions on “Authorship of the Pentateuch” (Handout). Social Scientific Criticism. OTP, "The Enuma Elish Stories," 11-20 & "The Hymn to Ptah," 3-6, "Stories of Adapa," 43-46; Gen 1-4. The Flood Story. Read Gen 6-9; OTC, 39-41; OTP, "Stories of Gilgamesh," 21-32 and "Stories of Atrahasis,"
Joseph, Goshen, and Slavery. Read Gen 37-45; OTC, 48-49; OTP, "Stories of Anubis & Bata," 65-69. Dedumoses," 54-56; "Annals of Kamose," 57-58; "Sargon of Agade," 89-90. Sinai, Wilderness, Law. Read Ex 21-22; Num 13, 16, 20, 22-24; Deut 21-22, 34; OTC, 53-58; OTP, "Code of Hammurabi," 105-114, and "Stories of Balaam," 131-133.
based on the set of questions in OTC, 81-82. "Stories of Wen-Amon," 347-354, & 1 Sam 1-15. Early Career of David. Read 1 Sam 16-19, 21-22, 24-28, & 31 and OTC, 88-92. Division of the Kingdom. 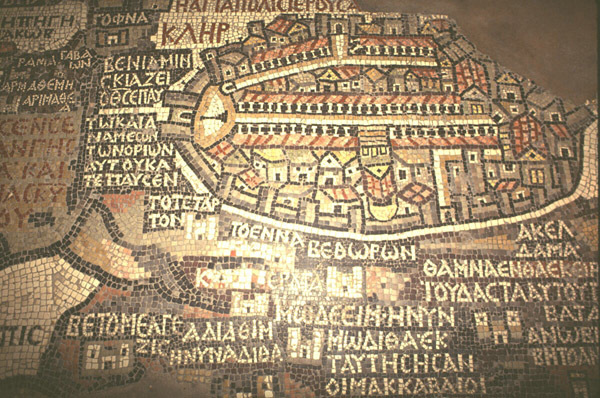 Read OTC, 102-105; 1 Kgs 12-14, 16.
of prophets (see summary, OTC, p. 115). Tiglath-Pileser III," 182-184; "Tell Dan Annals of Hazael," 170-171. Overview of the History of the Late Monarchy. Read OTC, 125-131. Amos 1-5, 7. Rewrite Amos 5:21-24 in modern language, with modern issues. OTP, "Siloam Annals," 193-194, "Annals of Sennacherib," 190-192. It is likely this stone bull represents one of Bethsaida's chief deities. It was in five scattered pieces. See Lamentations 4:1, which bemoans the destruction of Jerusalem: "The sacred stones are scattered at the head of every courtyard." Deuteronomic Reform. Read 2 Kgs 22-23; Deut 12-14; OTC, 156. Jeremiah and the Last Days of Judah. Read OTC, 165-179; OTP, "Lachish Letters," 201-203; "Annals of Nebuchadnezzar," 195-197; 2 Kgs 24; Jeremiah 1, 5, 7, 13, 16, 18-19, 21, 26, 28-29, 32, 36. Ezekiel 1-5, 8-9, 14, 16, 18, 34, 36-37; 2 Kings 25. Post-Exilic Yehud. Read OTC, 223-228.
and "Teachings of Ahiqar," 303-309. Class Discussion: Job. Read Job 1-12, 31, 38-42; OTC, 243-250; OTP, "A Sufferer and a Friend in Babylon,"
239-244. Prepare answers to the questions in OTC, pp. 249-250 for use in our class discussion. Daniel and the Hellenistic Period: Read OTC, 257-271; Dan 1-7, 12; OTP, "Visions of Neferti," 335-340. FINAL EXAM: Covering the last section of the course and a Comprehensive essay question. see me if you are having trouble with any of this material. This site was last updated on March 30, 2012.